Revo America is one of the biggest names in home security. Their home security system products work well in both home and business settings, giving homeowners and business owners peace of mind that their investments are as safe as possible. 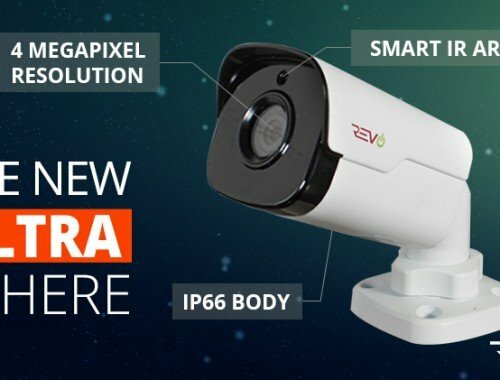 If you are interested in adding a surveillance camera or an entire security system, SecuritAll now carries an even larger selection of wireless cameras and systems from Revo America, giving individuals greater flexibility in their security options. 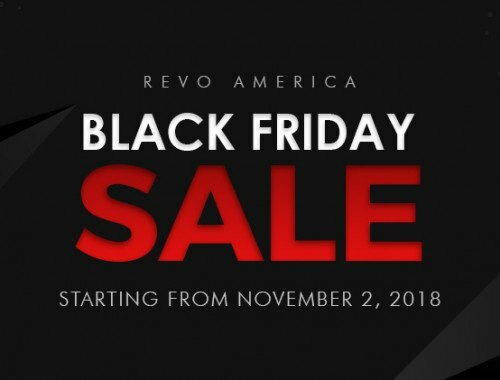 Whether you already have a system you’ve been using or you are building a new one, purchasing an individual Revo America surveillance camera can be a great option. These cameras allow you to build a customized solution that will best fit your needs. You can purchase just one camera to use in your most vulnerable area or you can choose to add on several of these cameras to give you the advantage of multiple views. The decision is entirely yours. However, if you choose to use these Revo cameras, you will also need to purchase a DVR through which your videos will record and play. A surveillance camera gives you all the advantages of being able to see what is going on around your home or business. However, the images you capture will not be saved unless you invest in a Revo America DVR for your security system. The four-channel networking DVR is an excellent option for situations that use up to four separate cameras to monitor an area. This wireless option gives you greater flexibility and easy setup so you can begin using your system soon after you receive it. When you make your purchase from Revo America, you will receive the highest level of support so you can setup and use your system as effectively as possible to give you greater security. With these options, you will be able to choose the right security system to best meet your needs. If you simply want one surveillance camera you can use as a nanny cam or to monitor the entry to your home, installing just one surveillance camera and a DVR is the right choice. However, if you want to use your system as a burglar alarm for your home or to monitor theft at your business, you must consider adding additional cameras to the system. Regardless of what you choose, Revo America offers the high-tech options you need to stay safe and secure. SecuritAll is pleased to add these new products to their line of Revo America products. Our goal is to provide our customers with high-quality products and top-quality service. As you consider your options for building the right security system, count on us to show you the way and help you make the best choices. If you are in the market for a new security system or need to add onto the one you already have, contact us for assistance. I have your 16 camera system , love it , but can the wireless cameras be added to it..it would help alot so i wouldnt have to run cable and bury it to my barn , thanksâ€¦ don d.
Yes, you can add wireless cameras to your system as long as you have remaining quick connect ports on your DVR for the wireless receivers. Here is a link to the wireless cameras. I am interested in a security camera system for my private residence. Your feedback and suggestions would be greatly appreciated. I am happy to help you figure out the perfect system for your home. Please feel free to give me a call anytime and we can discuss this further (866)594-8975. All depend on the hdaawrre, if its a Network DVR, then you need to open ports on your router to allow remote access into the DVR, if its not, then you may have to get a TV card (unless its already viewable on a PC), then use remote software to access it. How many wireless cameras can be on a 16 port dvr system? Will all of your 16port systems come with the wireless capability (plug n play)? This share is really useful for every individual!! I have installed DVR equipment that helps to capture motion pictures and the best part of this equipment is that it is too small to fit in any place easily. Thanks for giving such useful information! !